As a native New Yorker I am somewhat influenced with the East Coast music sound, though I do not know if there is currently a big difference in what kinds of music is played in the other states and abroad. All of the songs on Picture of You were written musically and lyrically and performed by me David Weissner. I also sing all vocals tracks and perform on all instruments tracks and arranged them as I did with my first 4 CD's. I began songwriting around 1980. Before writing I used to listen to and play other artists songs from the 60's and 70's. I am influenced mainly by the music of the Beatles, and Rolling Stones, but I like listening to Dokken, Aerosmith, the Mammas and Pappas, Hermits Hermits, Gerry and the Pacemakers, The Moody Blues, The Four Seasons, The Animals, Aerosmith, John Sebastian, 10,000 Maniacs, Lisa Loeb, Edie Brickell, Steve Vai, John Petrucci, Joe Satriani, Bob Dylan, Led Zeppelin, Jimi Hendrix, The Temptations, Carlos Santana, the Motown sound The Supremes, Little Richard, and I also like some rap, the sound of Ratt, Warrant, Metallica, Winger, Pink Floyd, The Eagles, Reggae, Bob Marley, Peter Tosh and a whole lot of others to long to mention. 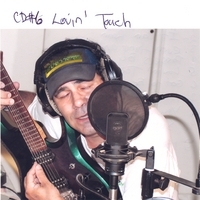 On these CD’s there's lots of interesting lead guitar licks with high energy guitar effects. With all these musical influences I am still searching for that ultimate new sound . That magical spacy blended layered mix of reverbs and delays that make my sound unique. and as the mornings wept their rain kissed my lips.